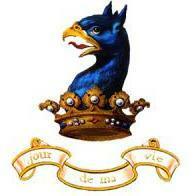 Oblt. 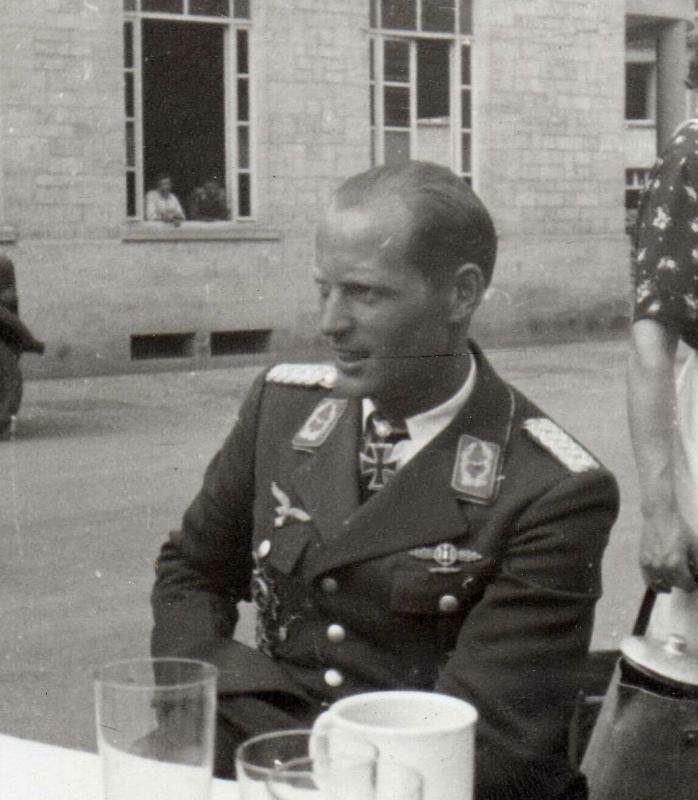 Witzig - Fhr. 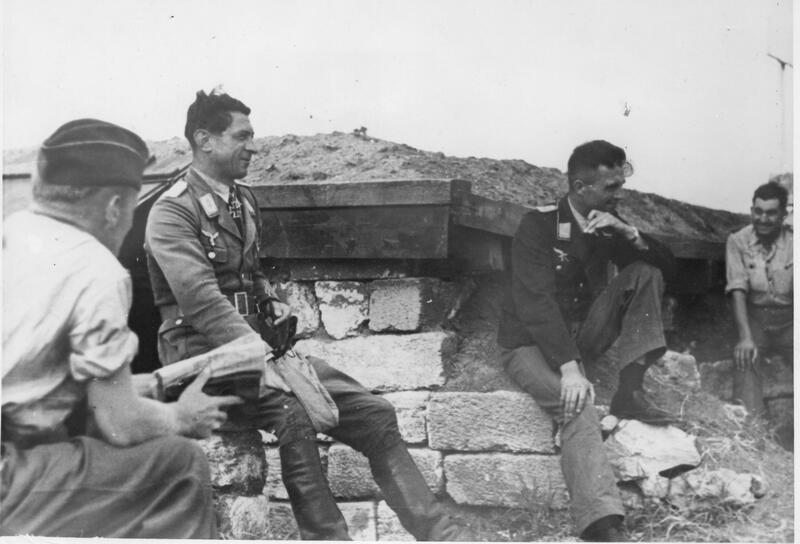 Sturmgruppe "Granit" in Fallschirmjäger-Sturmabt. 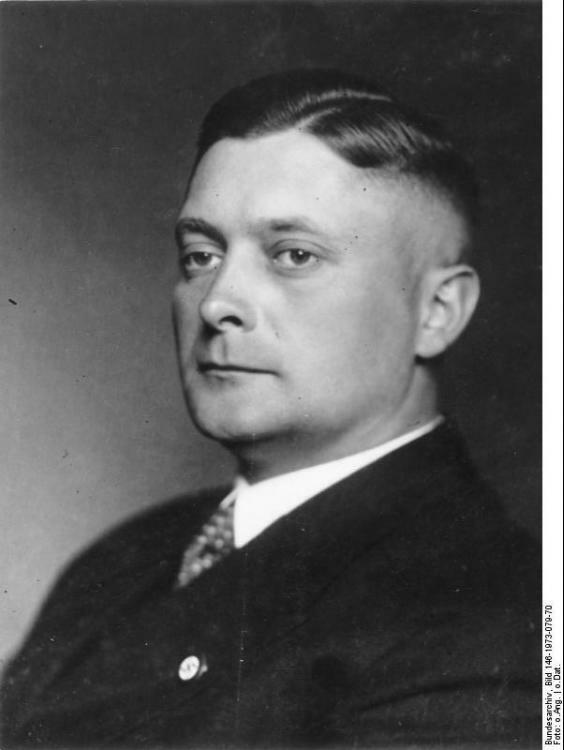 "Koch". 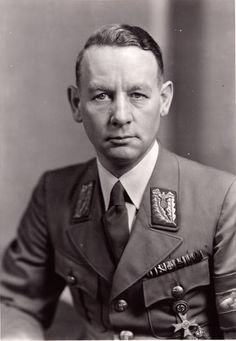 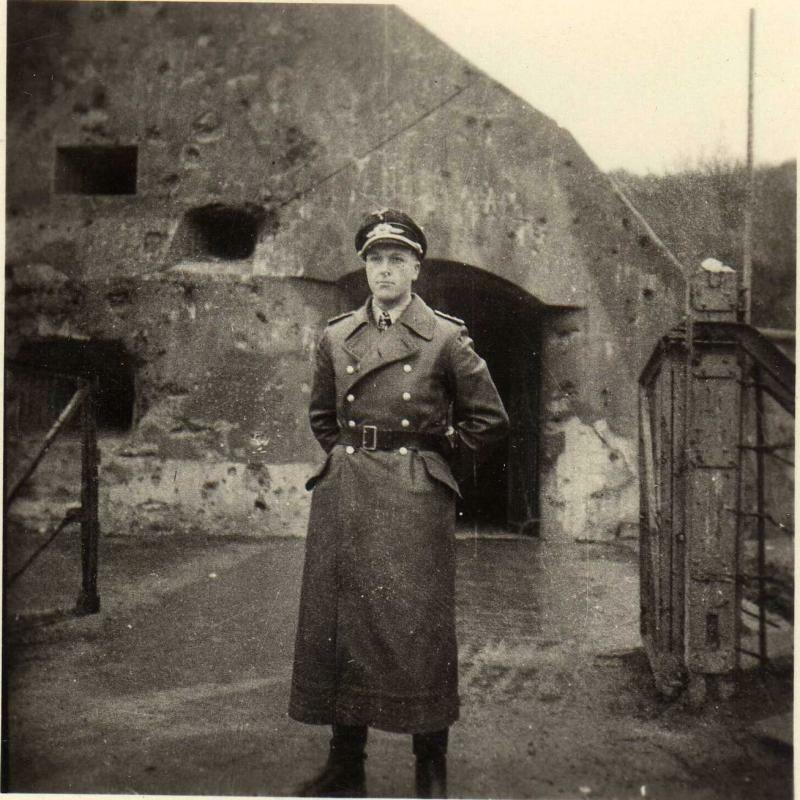 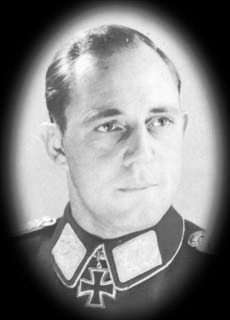 Reinhold Eckardt 7 NJG 3. 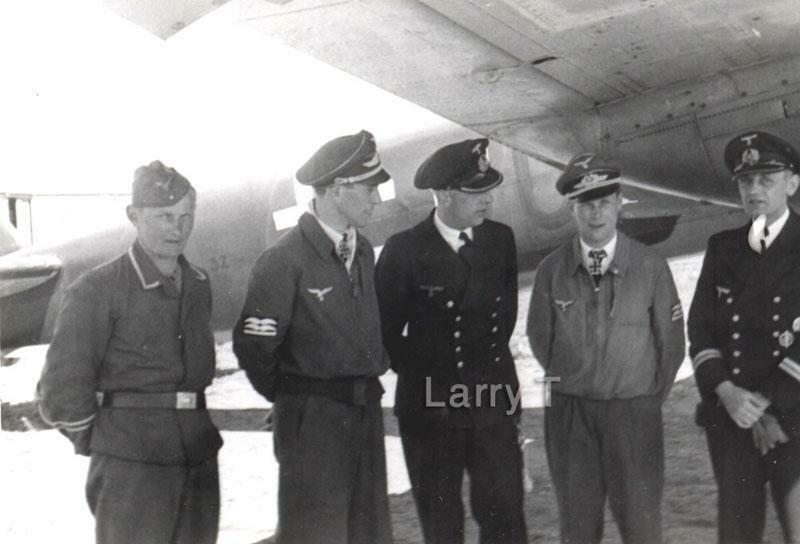 Johannes Geismann (2nd left) and Karl-Heinz Greve (2nd right) of KG 77. 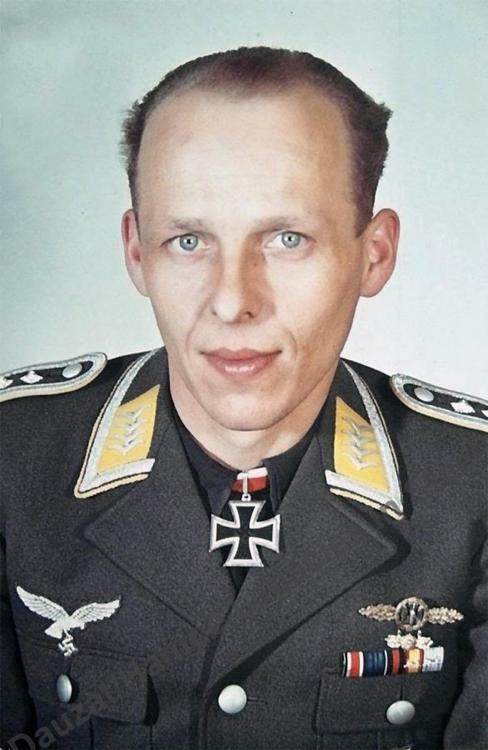 Anyone have a photo of Helmut Mahlke? 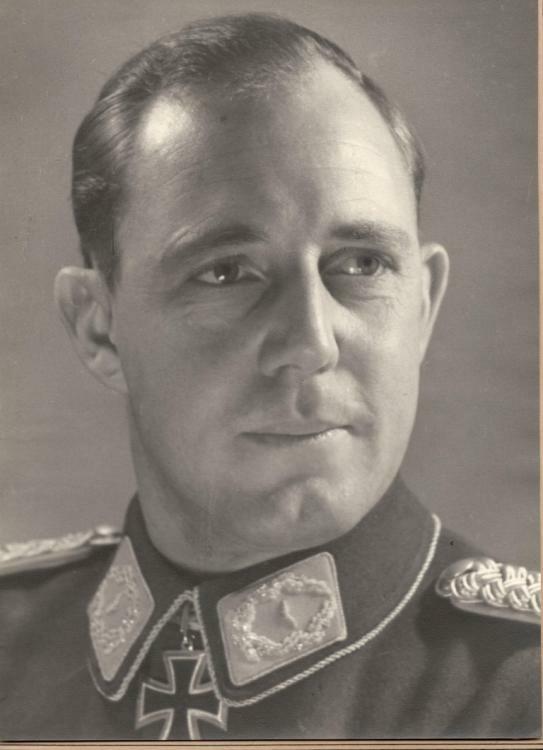 Er ist later swords holder Hermann Hogeback. 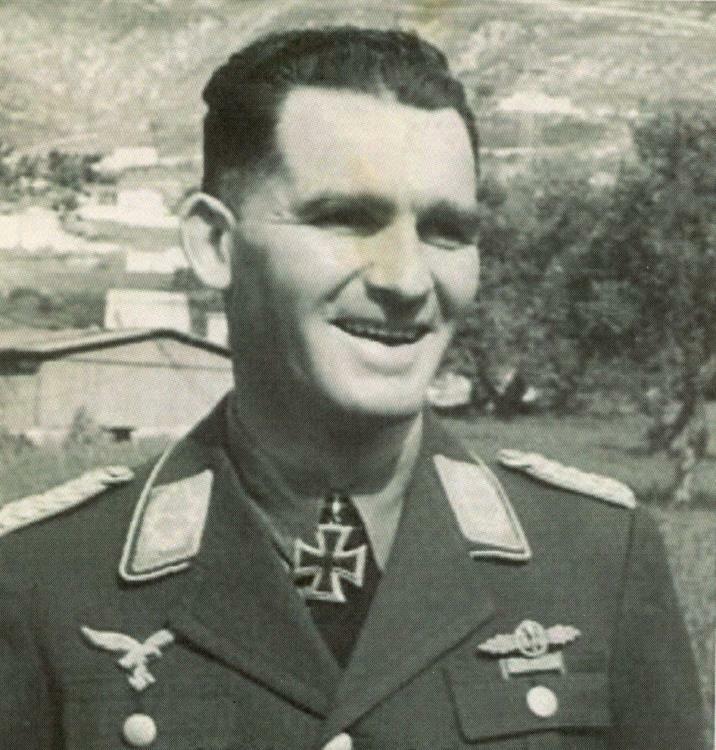 Captain Martin Drewes (born 20/10/1918) shown with his Knights Cross awarded 27/7/1944 as Commander of III/NJG1 . 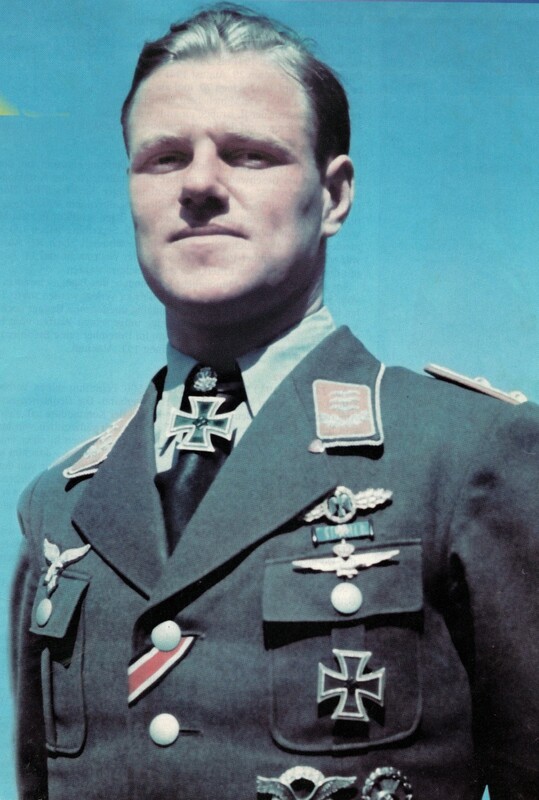 Drewes was awarded the Oakleaves on 17/4/1945 ,after 52 victories ,and his last rank was Major .He was one of a few pilots that flew missions in Iraq under Iraq colors (see picture) against the British in WW2 .He lived in Brazil after the war and passed away on 13/10/2013 in Brazil . 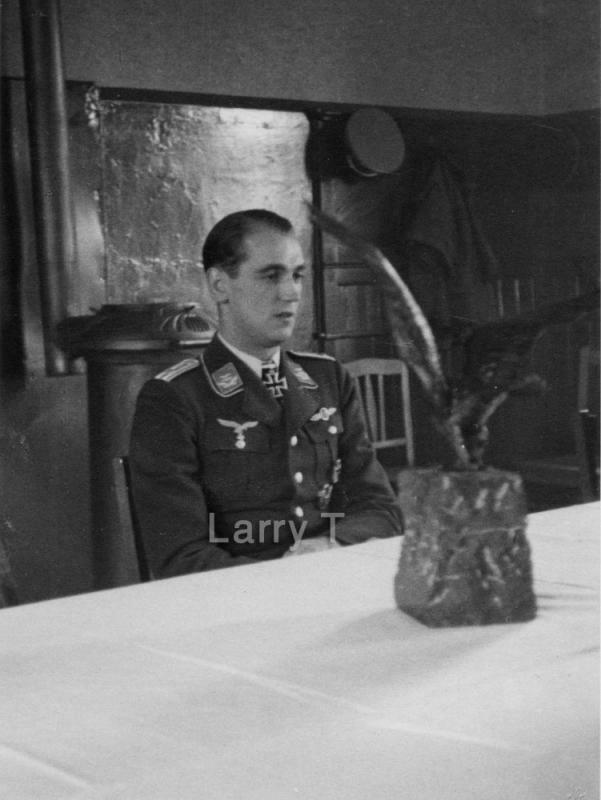 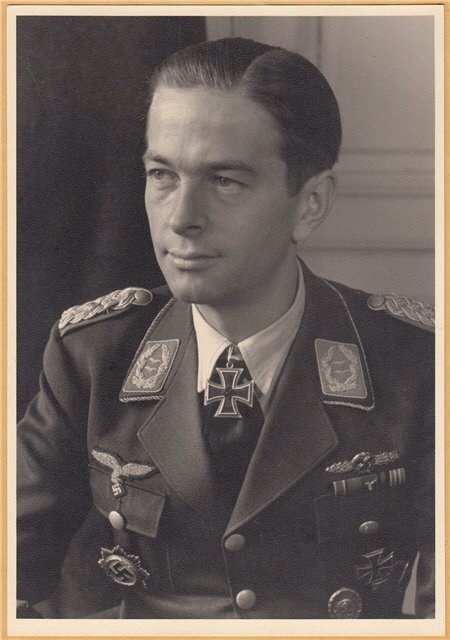 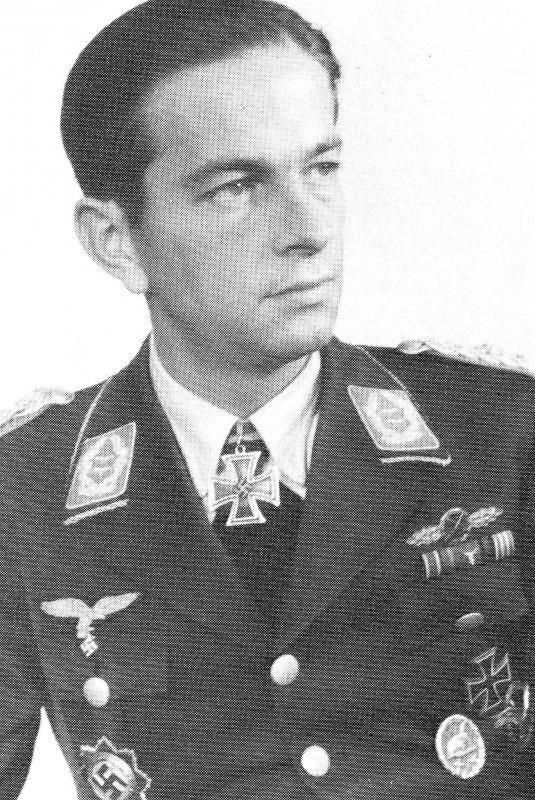 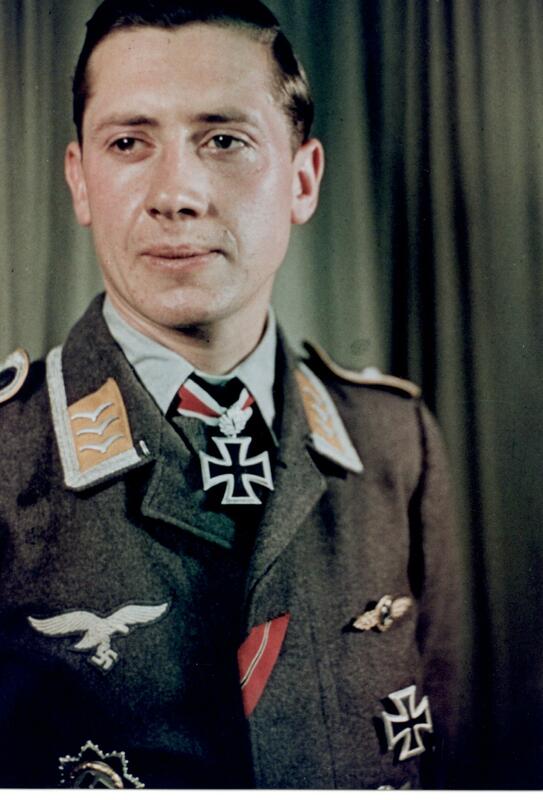 We will Feature his Luftwaffe dagger in our next book with the story of his service.